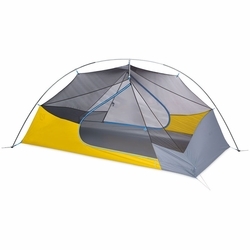 NEMO Blaze 2P Tent. With the Blaze™, NEMO created a tent that offers, hands down, the most liveable space of any other tent in it's weight class. The Blaze 2p is also the only tent in it's class with two doors and two vestibules. The Blaze™ is best in class for weight and price—for ultralighters at heart who don’t want to compromise on space.